Suitable for: Skin prone to blackheads, and for repairing damage such as sunburn, acne and enlarged pores. Activated charcoal has gained so much popularity in the skincare world because it does a thorough job in digging out the grease and grime out of your skin. The results? Clean and healthy skin that feels soft to the touch. 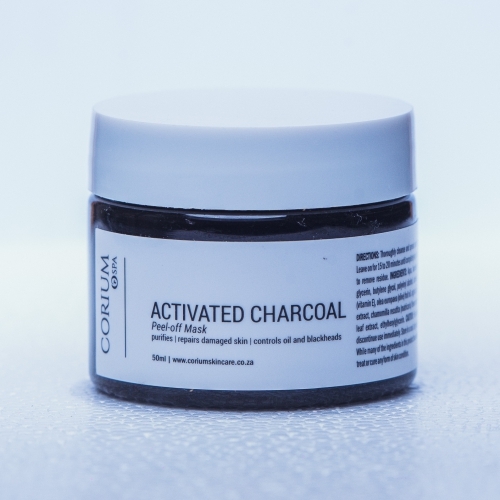 Activated charcoal does a thorough job in digging out the grease and grime out of your skin. Working together with the activated charcoal – which extracts dirt and excessive oils away from the skin – is the Witch Hazel, which has powerful astringent properties. That simply means it can help retrieve excess oils from the skin. Hyaluronic Acid, found in this peel-off mask, is an ingredient that is fast gaining popularity in mainstream beauty products. It is a naturally-occurring substance that helps to keep the skin stable and youthful. Notify me when Activated Charcoal Peel-Off Mask 50ml Activated Charcoal Peel Off Mask is available.